Sunday: Mac and Cheese! Cause it’s Sunday and it will make an excellent leftover lunch come Monday! 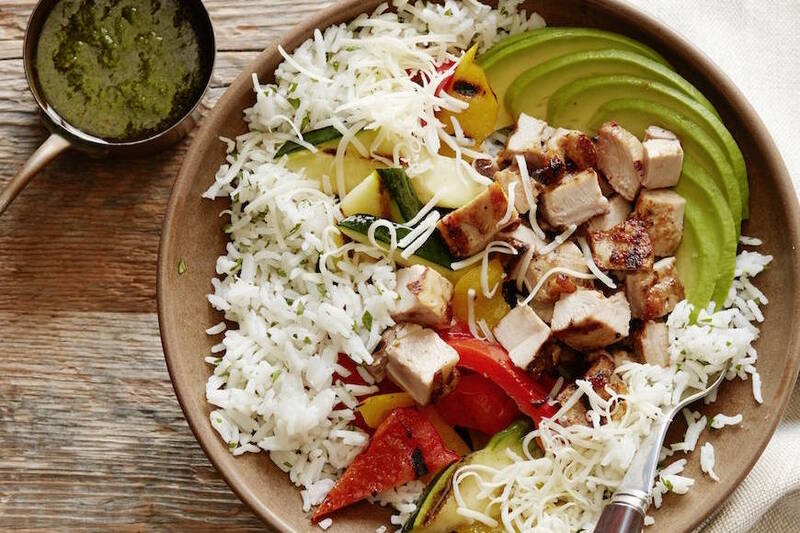 Go to green monster salad on the side. 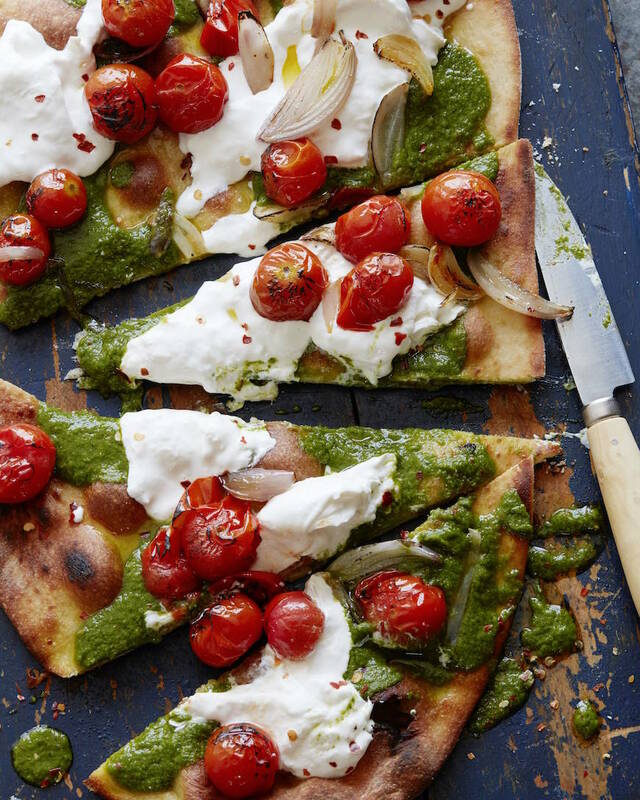 Monday: It’s all about Meatless Monday and this Charred Tomato Pesto Pizza today! 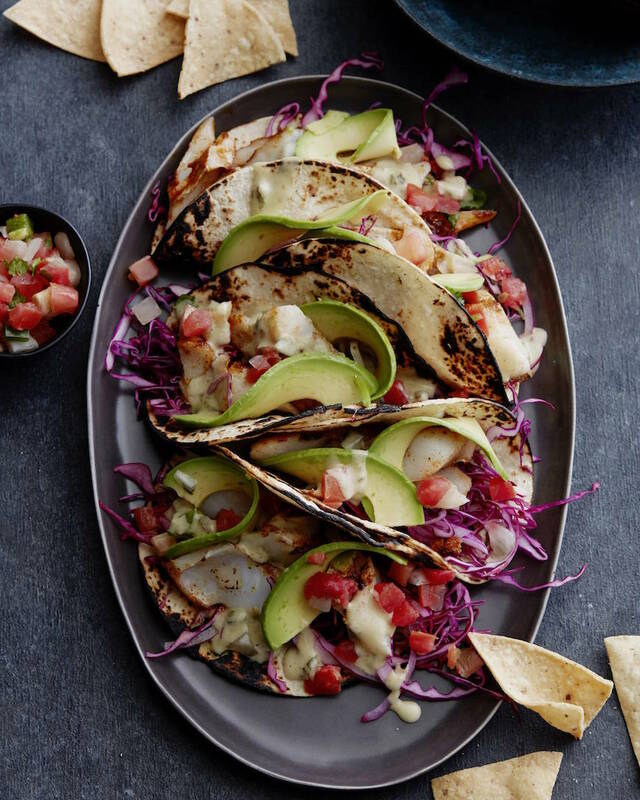 Tuesday: It’s Taco Tuesday this week – Grilled Mahi Mahi Tacos are happening with the most gorgeous avocado slices! And a citrus avocado salad to boot! 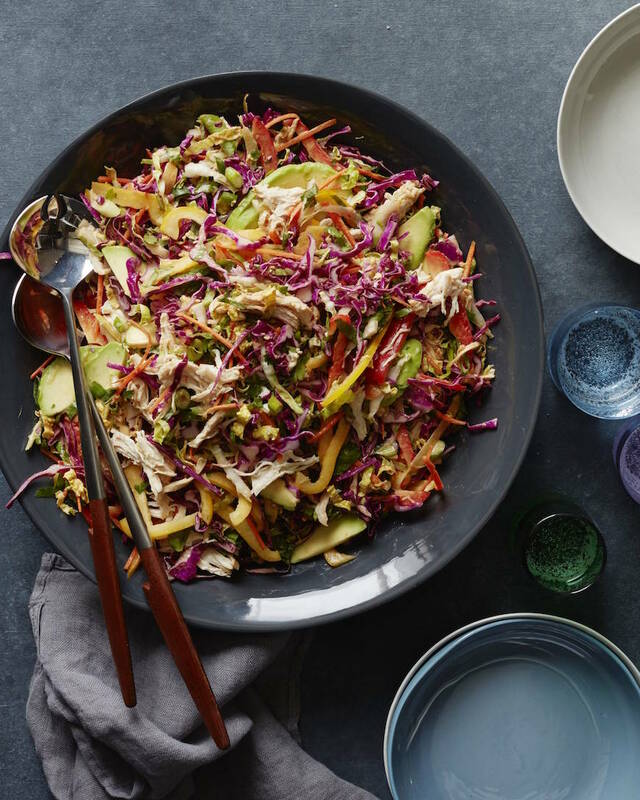 Wednesday: This Asian Chicken Slaw is happening because I can make it at night and then eat it for lunches for DAYS ON END! Thursday: Throwing it back to the first meal I ever cooked in college that I’ve since perfected – Chicken Parmesan! 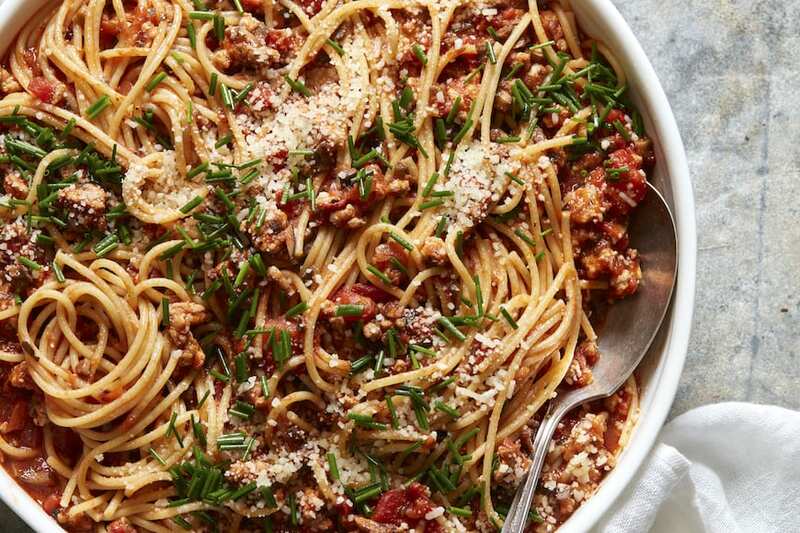 Make it with a side of pasta and go to town. 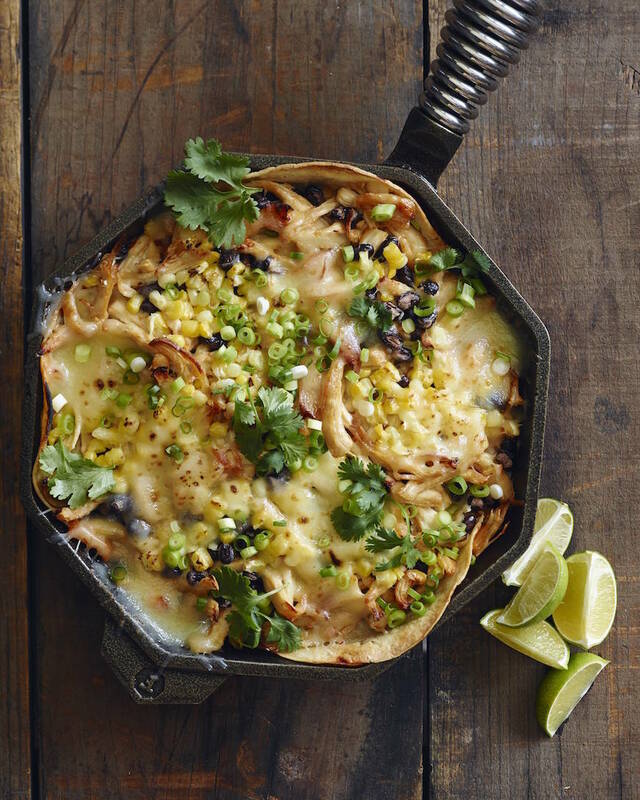 Friday: Skillet Chipotle Chicken Enchilada Bake. 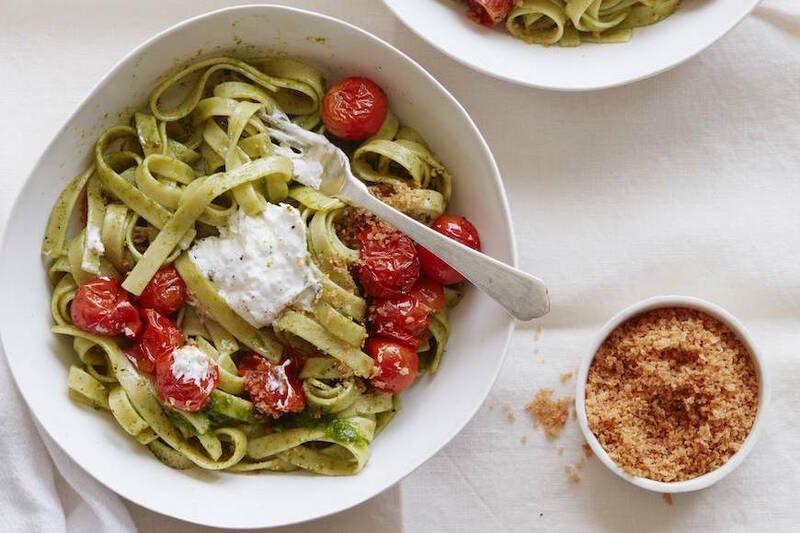 Because it’s awesome and it’s an entire meal in one skillet. Throw some guacamole on the side for good measure too. 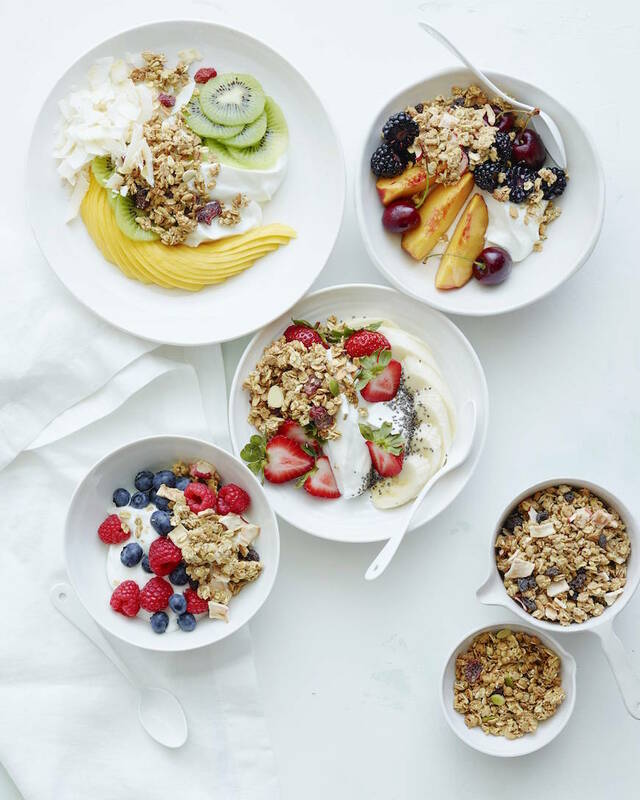 Breakfast ideas: I’m doing breakfast yogurt bowls all week! 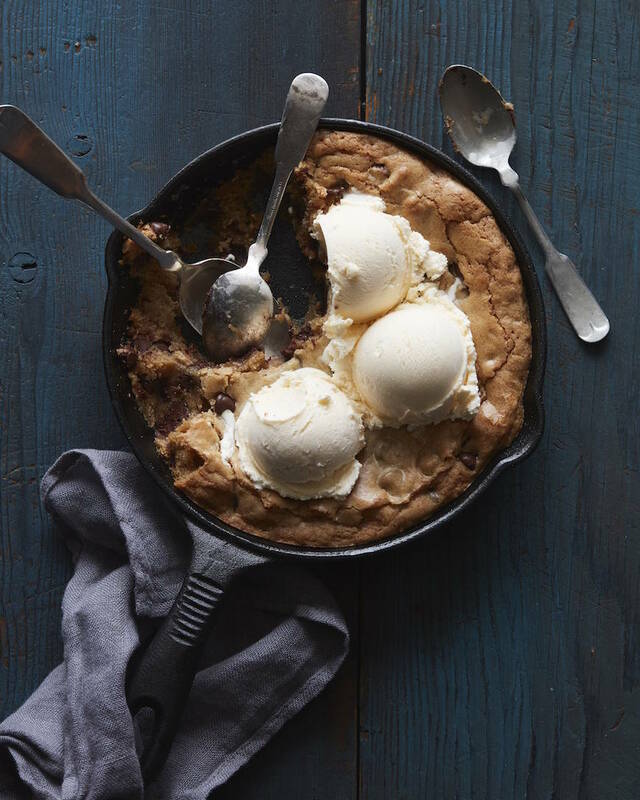 A little something something for dessert: and a pizookie is 100% happening one night this week. YOLO. Those tacos look so good!!! I LOVE all of these! 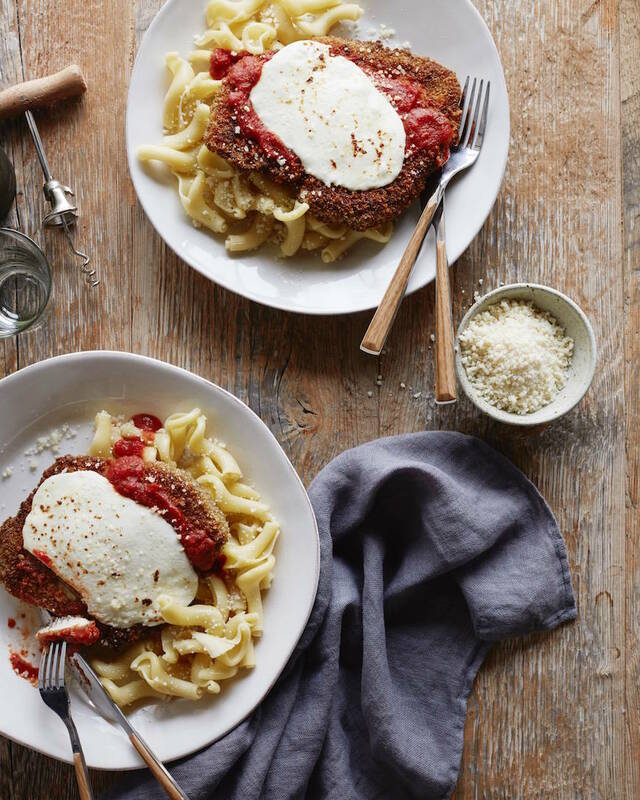 Your chicken parm has been a staple since the beginning! And the breakfast bowls are my new favorite. Everything looks so good it is hard to even know where to look first!!! but the tacos are happening this week. Everything looks delicious. 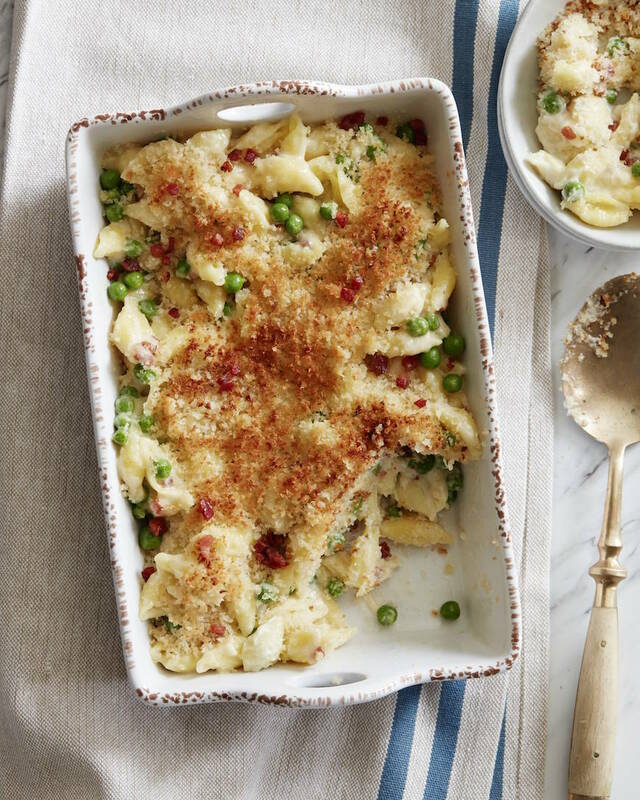 Definitely doing the mac and cheese this week. very nice recipe looking so good and healthy thank you for shearing keep it up.